These words by Viktor Frankl, Nazi concentration camp survivor, resonated within me like the striking of a huge gong when I first heard them as a college student. The vibrations from that first articulation of the power to choose what rules my mind and how I respond to a person or set of circumstances have stayed with me throughout my adult life, surfacing and ringing again from time to time, activating and urging me to apropriate, during the most difficult circumstances and challenging seasons of my life, the incredible power of the freedom to choose my thoughts and attitude in any situation. The circumstances of my life have been as far away from the deprivation and genocide of the concentration camps as one can get - I have had a life of loving nurture, provision, safety, health, friendship, acceptance, and encouragement. Any prisons I've been in have been prisons of my own making, my own choices. I've placed a high value on living a life that honors God in all aspects, a life that models love, truth, integrity, personal responsibility, compassion, life-long vibrant partnership in marriage and stable families who can provide safe and nurturing environments for children. So my choices have often been choices of constraint, choices to turn away from actions that beckon with such beguiling promises of freedom and power. 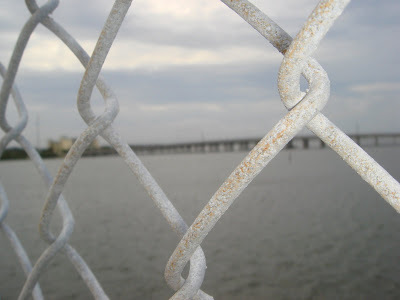 Those initial and daily choices of constraint have had the effect of closing and locking doors of action and opportunity to myself that many others routinely walk through in order to cope with , bring order to, have power over or escape from the exceedingly difficult people and circumstances of life. Living -truly living - within the spaces created by those closed doors, spaces that somehow become simultaneously pain-filled and empty, has been a challenging and time-consuming curriculum for me. Given all these deliberate choices I've made to live a life bound by honesty, integrity, faithfulness, responsibility and accountability, it seems strange that so many internal moments of my life have been lived from "the victim" stance - feeling that others were responsible for whatever current misery was pressing on me - other people's boundaries, expectations, criticisms, deprivations of my "God-given rights". That is why, I think, Viktor Frankl's words about the last human freedom being the power to choose what one thinks has stayed with me so powerfully, and why I have spent so much time sucking the marrow from the New Testament passage in Philippians 2. To the one who feels handcuffed and gagged by powerful circumstances or people, realizing he has the freedom to choose how he views and thinks about that circumstance or person brings empowerment and liberty, even if his hands and feet must remain shackled and his voice gagged. To the one whose rights are being trampled upon or taken from him, there is no life-sustaining stance within the pain-filled emptiness by adopting an identity of worthlessness or despair. But solid dignity and empowerment and hope comes with adopting the identity of a person created in the image of a God of love and truth, seeing oneself as just a little lower than the angels. The person who sees himself as a beloved child who has been given the rights and inheritance of a son of God can CHOOSE to lay down his God-given rights for a time, can choose to let her freedoms go, can choose self-sacrifice over self-preservation in the power of love and hope. At key "hinge moments" in my life, simply REALIZING that, unlike the Nazi concentration camp prisoners, I CAN CHOOSE which doors I unlock and walk through, has helped me to remember who I am. Remembering I have the power to make a different choice has led to reflection about those potential choices, what they would cost, what the likely results would be, and what that different choice would say about me - who I am, what I value, what I believe. Remembering I can make a different choice has enabled me to move away from the mindset of seeing myself as "powerless victim" who is paralyzed by despair and unable to do anything other than react in unconscious patterns formed by my past. Realizing that I can choose what I think and how I respond, is both an awesome gift and an incredible responsibility. That realization has moved me, in key moments of my life, to a position of power and full engagement, to a place of being fully human.